Tiree High School Gala Day. Bright blue sky all day and it was warm for the occasion. On Gala Day the neighbouring islands stood out so clearly. 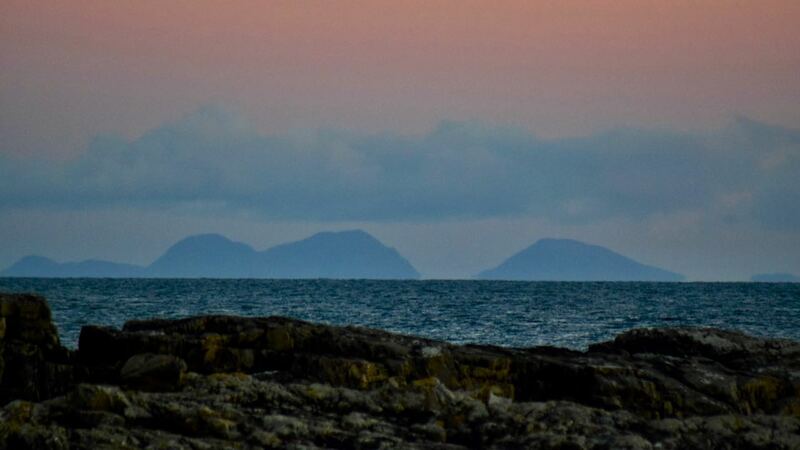 the Paps of Jura were framed by the harbour mouth. In Galleries mouse-over for captions and double click for larger photographs. especially when you cannot see the sea which separates the various islands. 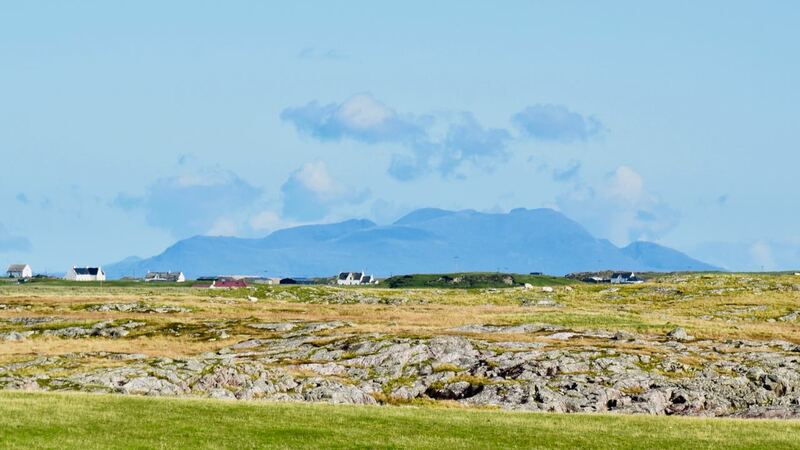 Driving across low lying Tiree the mountains of Mull can appear part of our island. Viewed from the pier Rum was separate – viewed from the harbour nothing separated. Looking across Brock and Ruaig towards the Rum Cuillin. It was a warming, healthy, blue day. 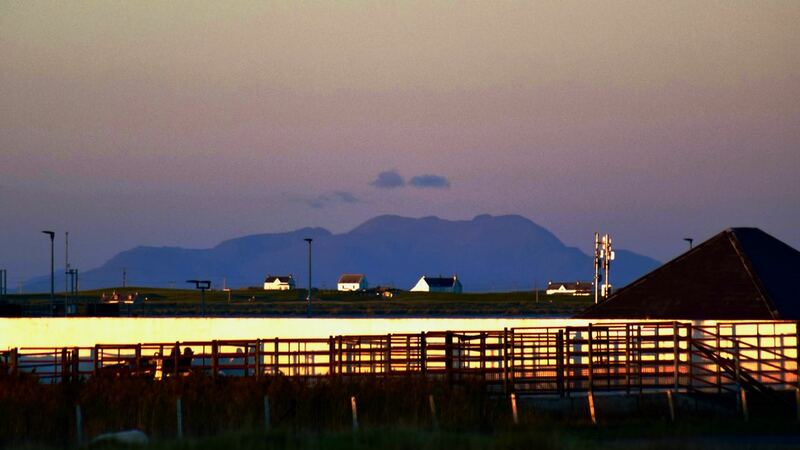 Do sheep appreciate the view they have of Mull? The only rainbow in the sky was laid on by the island’s fire-brigade. In a fun and entertaining way they were very much part of the Gala Day. The volunteer crew put much hard work into their involvement in the event. Mr Wilkes, the new headmaster, welcomed and thanked everyone. Staff and pupils once again took to the stage to entertain. It is indeed a great community occasion. With hardly a cloud in the sky a colourful sunset was guaranteed. the sky all around turns shades of red. 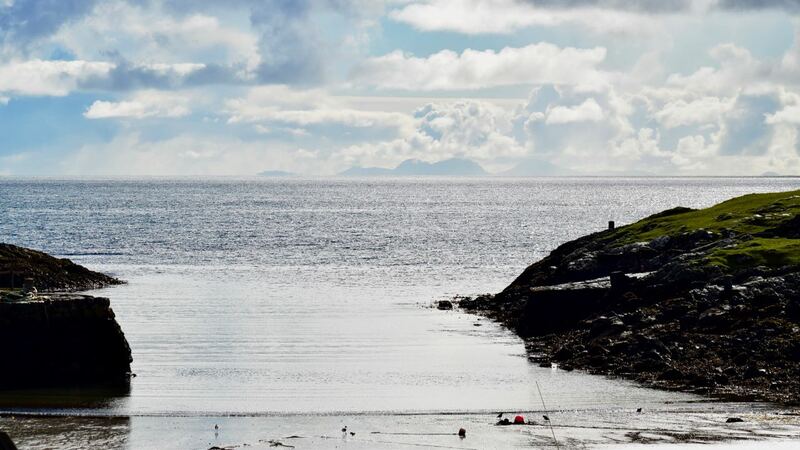 There’s that island of Rum again – this time from Pier Road. 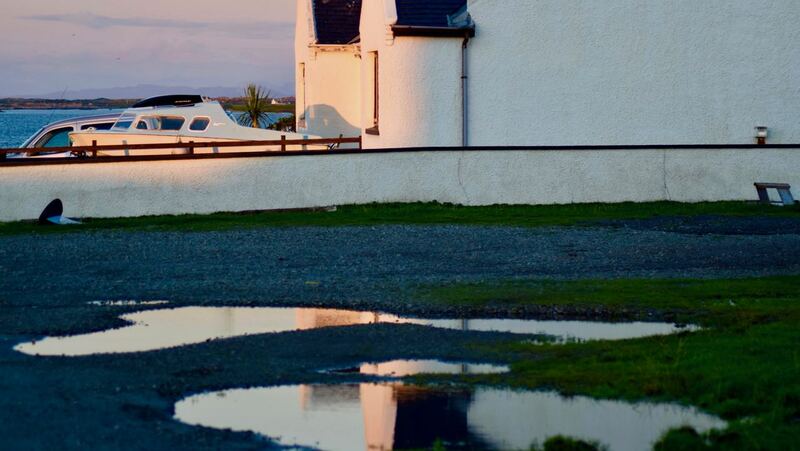 Houses and puddles reflected the glow of the setting sun. As did the neighbouring islands. Daylight hours are getting less and less. The sun drops much, much quicker. You see it and now it’s gone. The sun has dropped below the western horizon. 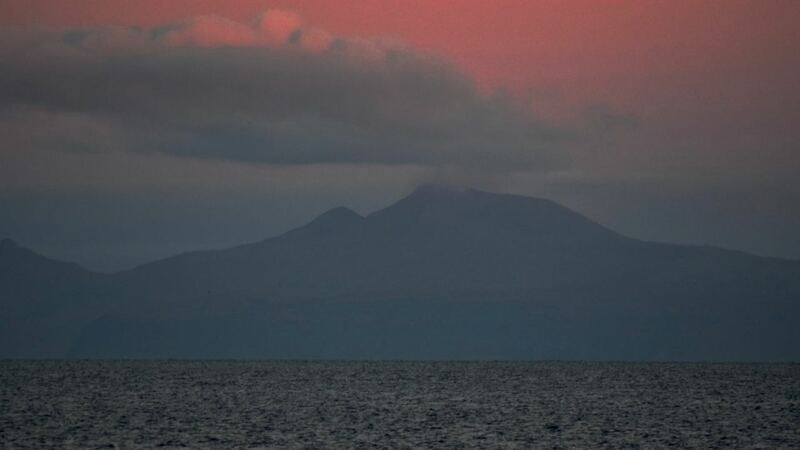 And to the south the effect is not lost on the Paps of Jura. 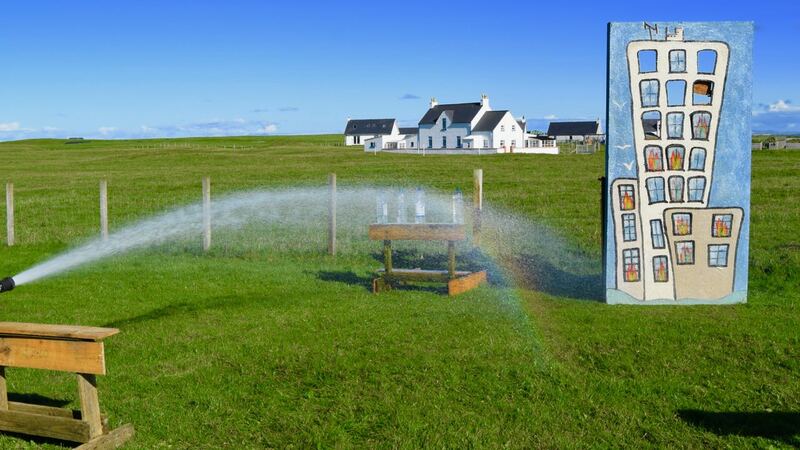 This is’ Life on Tiree’. The forecast for tomorrow is sunshine. Sunshine before the storm coming in late on Sunday evening. Whatever the weather, sunshine or storm, God’s love remains constant. Looking forward to meeting with the church family tomorrow.